Can the Stock Market Live on Canned Rations? Stocks were mixed today as traders favored energy and tech stocks, while staying away from Industrials and Transports. Let’s review key price levels on the major stock market index ETFs, along with today’s market theme. S&P 500 (NYSEARCA: SPY) 285 was resistance, now support. And a good pivotal number to use if the market sells off. Russell 2000 (NYSEARCA: IWM) 169.76 is now the big support to hold. Dow (NYSEARCA: DIA) 256.75 now pivotal support with same sentiment as SPY. Nasdaq (NASSDAQ: QQQ) 182.65 the resistance. 177.50 the 50 DMA support to hold. 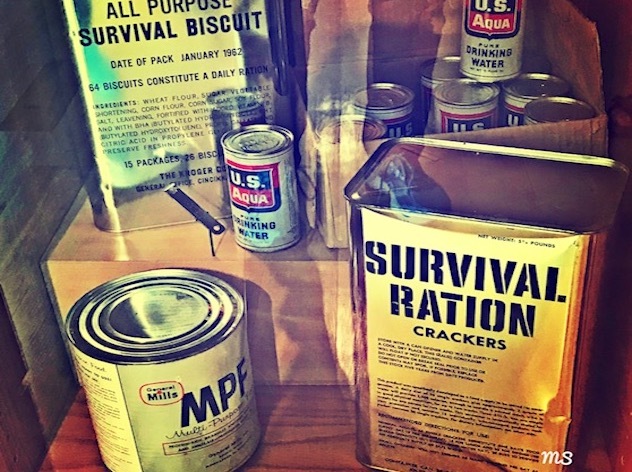 Scientists who worked on atomic weapons in the 1940’s, prepared for the worst with the pictured survival rations. Cans of flour, biscuits, crackers, and water were stockpiled. Although not an ideal diet, bread and water will at least help one prevent starvation and dehydration. 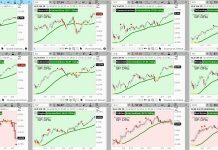 Yesterday, the market made new all-time highs. 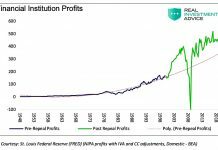 Like the creation of an atomic bomb, the impact of the strong economy has helped boom stock prices, while the periphery risks, engender preparations for possible catastrophic results. I went on to say, that Transportation can either blast off from yesterday’s high, or put in a very neat double top. Today, IYT broke the first line of support at 205.25. 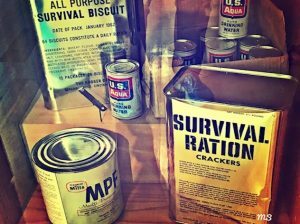 If we are nuclear trading scientists handling volatile materials or markets, what should we have in our survival rations? To repeat why I like to use IYT as my barometer, with all the Family members strong, Transportation=demand. The move under 205.25 today stings. A move under 202.85 would hurt further. A move under 200 would most likely create a substantial sell-off and quite probably confirm a double top. In the stock market rotation, besides watching IYT, before we left for vacation, we saw Granny Retail (XRT) as a key component. With today’s trip to new highs on the heels of strong earnings in Target, Wal-Mart, and Kohl’s, it too had a high-volume reversal pattern, ending the day near the intraday lows. There is a reason survival rations are canned and not boxed. Tin is resistant to temperature, shock and moisture. Both IYT and XRT will have to confirm the topping patterns tomorrow. That means IYT must continue to trade below 205.25 and XRT below 52.45 to confirm. Should both trade and close above those levels, then no need to unpack those rations. 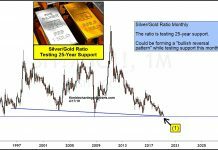 Yet, should they fail, this will be a good time to think of the risks, and have a plan of trades that are equally resistant to shock.